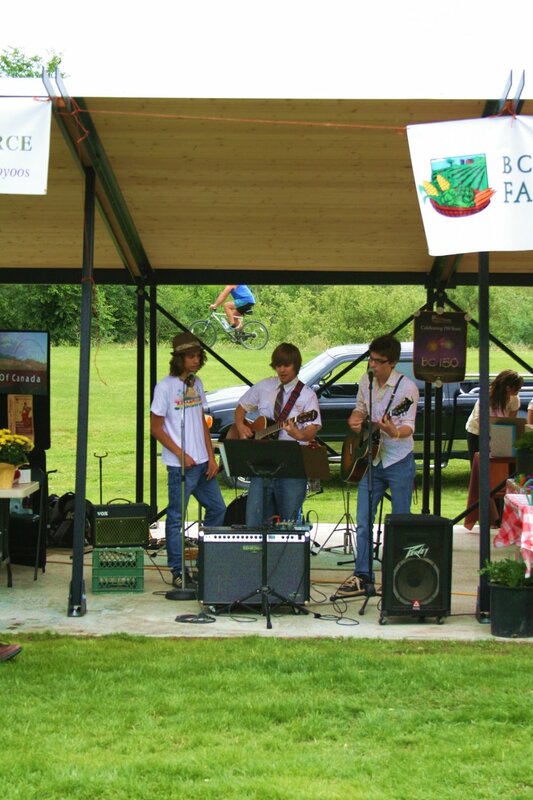 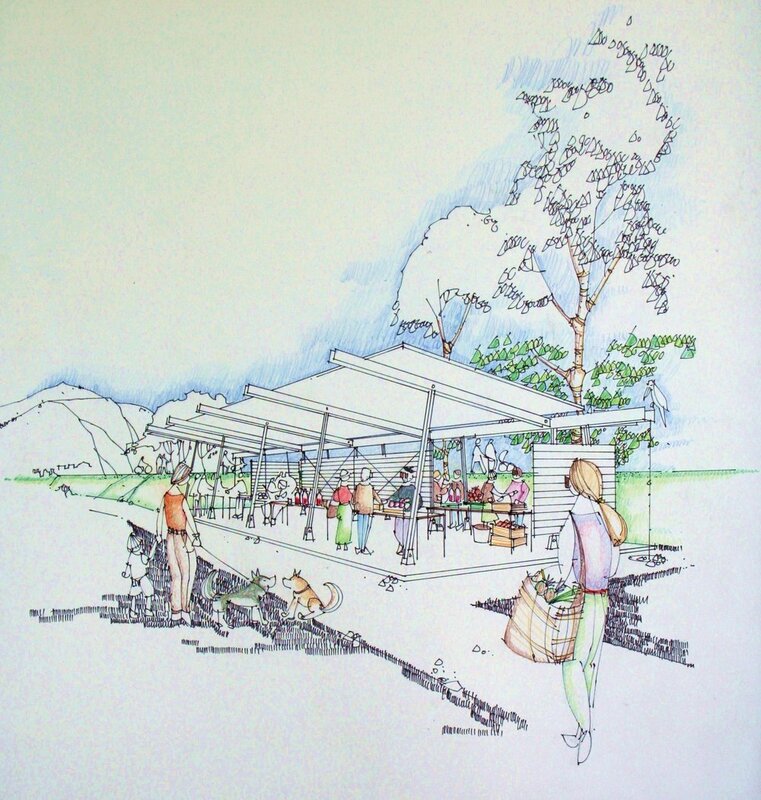 Farmer’s market pavilion and gazebo constructed of lightweight steel in Oliver’s municipal park. 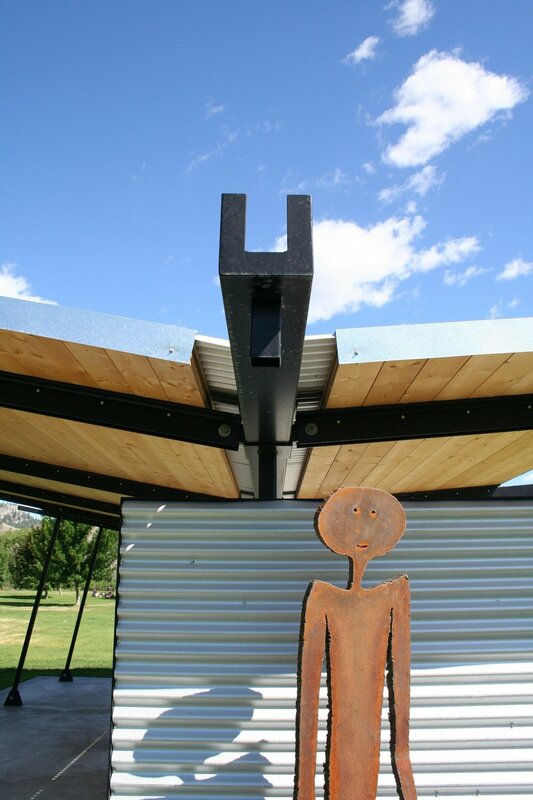 As an exercise in structural and material efficiency, the project was built for local non-profit on a restricted budget. 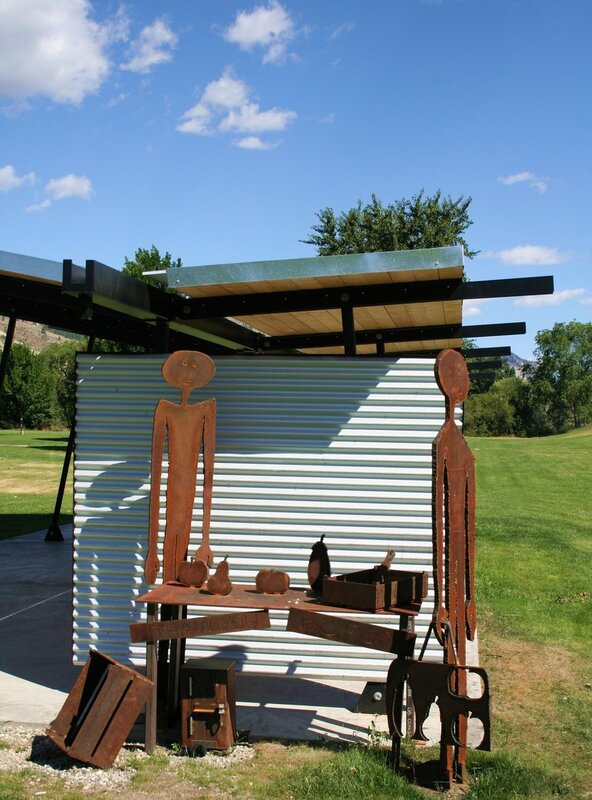 Straight cuts, bolted connections and beetle killed pine roof decking complement the built form, further enlivened by two sculptures created by Thomas Born.